Politician who became mayor of The City of Tshwane Metropolitan Municipality within Pretoria in 2016. He was elected into the position after the Democratic Alliance won that year. He received his degree in marketing management and a BCompt from the University of Pretoria. 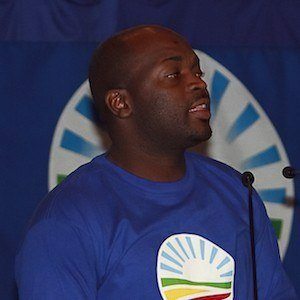 He joined the DA in 2006 and was offered a staff position by the party's CEO Ryan Coetzee after criticizing the party's ways. He married Monde Msimanga in 2006. He and David Alvarez re both politicians born in 1980.